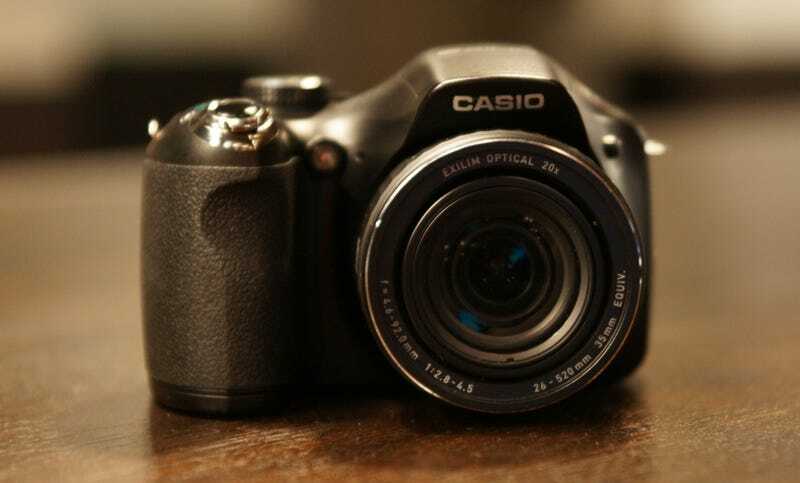 The Gadget: The Casio EX-FH20 camera, bargain brother to the popular EX-F1. It features 1000 fps slow-mo video, a 40 fps burst mode for still shooting and a 9.1-megapixel sensor, as well as good ol' 720p at regular speeds, all for just over half the price of the original slow-mo star. The Price: $600 The Verdict: Casio did a great job of bringing the power of the EX-F1 down to a beginner's level for the EX-FH20. The functions on the new camera are more streamlined than its bulkier predecessor: missing are the dedicated shooting mode switch dial, the multi-use focus/zoom ring and separate buttons for video and still capture from the F1. But on the other hand, the FH20 bests the F1 in a couple places, with its 9.1MP sensor and 20X optical zoom, compared to 6MP and 12X in the original. The on-board video editor is still there and simple to use for cutting down lengthy slow-mo clips. And whaddya know, it takes decent (albeit more point-and-shoot than DSLR quality) pictures too, as seen in the gallery below.